It's hard to believe that today my 10 year old is starting her 7th grade. 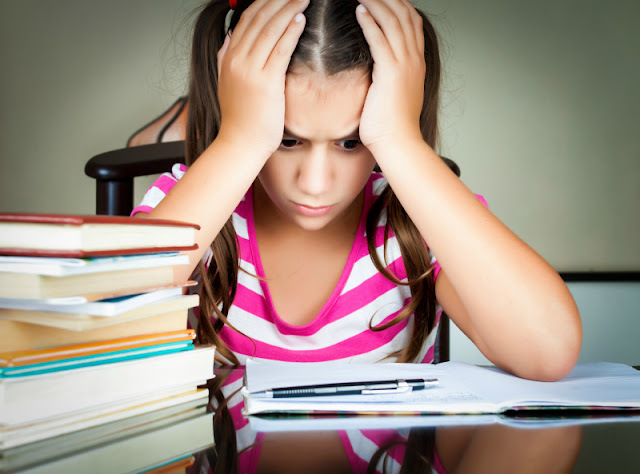 This year she faces it with great anticipation and without crushing anxiety of the last year when she skipped a grade, switched schools, and entered the world of middle school. Smarty: Yes! I am so excited! Me: How is this day different than last year? Smarty: I have more excitement and less uncertainty. I can't wait to see what my schedule will look like. Smarty: Social Studies. For the first time, history was actually interesting. Me: What do you wish your new teachers knew about you? Smarty: That I always want more challenge and that I like things to be moving fast. Smarty: Not really. I love my school. Smarty: I hope I will get to do more stuff in math and have friends. It's much easier for Smarty to get excited about 7th grade, since she knows fully well that she is able to meet and exceed academic expectations. She also hopes that this year classes will be more fluid, so she might be with one set of kids for math and with another set of kids for language arts. 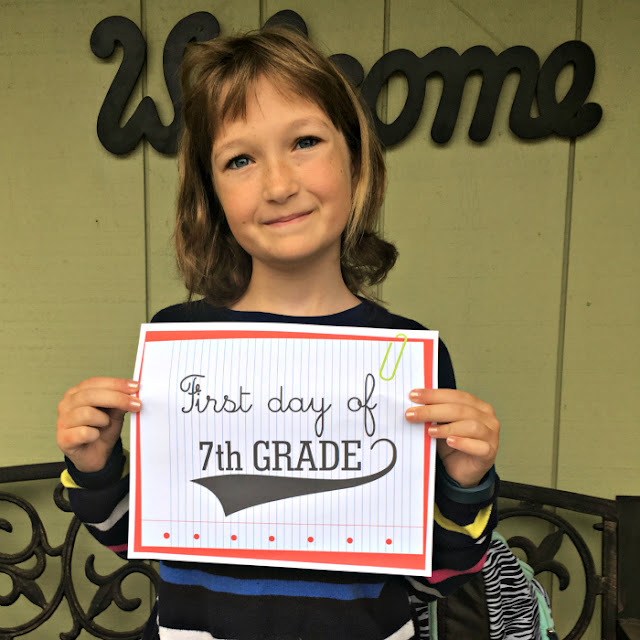 Only her first period was given in communications from school, with the idea that middle school students will get their full schedule on the first day. Smarty will have 2 of the same teachers (Maker's Lab and PE), but three of her teachers are new to school this year. Smarty is especially excited about her new science teacher, a Stanford educated PhD who worked on human genome project before deciding to become a teacher. She also has a new language/social studies and a new math teacher. I am certainly hoping that her math teacher will find ways to keep Smarty learning as she is currently almost done with 8th grade on Khan Academy. Smarty's excitement is infectious. I want to hope that all her dreams will come true and this school year will be a great year for her - a year of learning new things, of strengthening existing relationships and getting to know new people, of making another confident step towards independence and responsibility. I hope that all my readers, whether they homeschool or trust their kids' education to teachers, will have a great year for their students. Have your kids started a new school year yet? Her science teacher sounds great! I hope this is a great year for Smarty. Our year is off to a great start. We started the school year gradually and tomorrow is our first day of all the subjects. It'll be interesting.